This was Sony's week, not next. Does Sony actually "DO" anything during these weeks? I don't know, what is it supposed to "DO"? Sales didn't go up last year, the decline was just less. You have to compare it with holidays 2011-12. A year that have the same days placed. New Year Sales strong days are the second and the third of January. Week 52 (Dec 26 - Jan 1) hasn't got any Christmas days, neither New Year Sales (On Jan 1, most shops are closed due to holiday), that's why it's a weaker week. No, just demographics work in their favor this week each year for who is buying games. *Next week I will add more weeks. PS3 up to 5 million. Just weird that PlayStation has an unofficial week in Japan when they don't actually do anything. I think I heard back in a Media Create thread how kids get their money post-Christmas for New Year and these usually purchase PS platform hence the usual boost near the new year. Not sure now who said it back then, but it seems like it. The Last Guardian at 100k+ is good, right? And some people thought PS4 would fall behind PS3 after PS3 slim and FF13 released. Still its pretty remarkable how Sony plans hardware with a new mainline FF and how similar the combined effect on their system is. Seems like all the bashing and hatred against FFXV has been fruitless Quality always prevails in the end and it's great to see that the title recovered so quickly. I imagine SE must be happy with the results considering the marketing and production budgets should be back in their bank very soon with this kind of sales performance. Nothing can stop the #RoadTo1M train anymore and after that is said and done, I can't see why they shouldn't announce the next manifestation of FF very soon. I think all the predictions about the brand losing its power were always kinda hyperbole and in the end both gamers and SE can be very happy not only about FFXV itself but also that it managed to make a big enough splash that might revive the glorious days of JRPG extravaganza on dedicated videogame machines/PS4. As PS4 falls out of holidays and PS3 enters it is when we can see whether or not it keeps up. PS4 needs to reach close to 4.5m until end of February... if that happens PS3 won't catch it until maybe 2018. FFXIII + holidays line compares with February PS4 time. It might be already there with digital. The Wii U sold approximately 1/3 of what it did last year. And the Switch wasn't even a factor for most of it. That's the kind of power Splatoon had. I hardly doubt FFXV reached 100k digital in Japan but everything can happen... even 50k I have doubts. So the PS4 needs to sell about 400K in 8 weeks?... I think it could fall short, but probably not by a lot. As expected total hardware was down compared to last year by almost 900K (HW YTD is declining year after year since 2011). First time since 2002 where HW YTD is lower than 5 million units. It's also the first year no hardware sold 2M (3DS was basically there, but still...). Also, it's the highest sales for the second best selling console since 2011. The console was basically out of stock shortly after the 2015 holidays, and Nintendo didn't care to restock. Nintendo actively killed the Wii U in Japan with the higher prices, etc. yet thanks to its software (especially Splatoon), the console still managed 3M compared to the GC's 4M despite putting a lot more effort into the GC in a much better market situation. I honestly think that if Nintendo actually had tried with the Wii U in Japan, it might have sold close to 1M more (aka price cuts instead of price increases, just having stock in 2016, etc.). Using MC numbers (sorry Famitsu fans) we are now in Week 150. 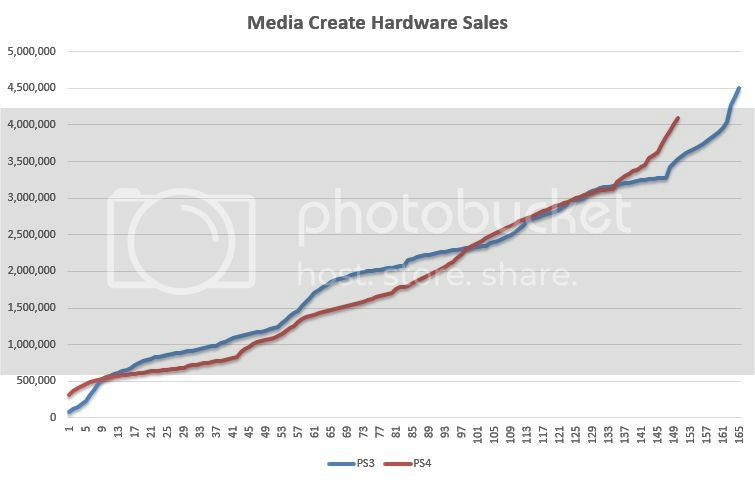 After that the holidays ends for PS3 and PS4 will enter in April... so I believe PS4 will start to sell more units weekly after Week 175. If PS4 can cross 4.5m until Week 174 it will comfortable lead the rest of the year. Edit - Fixed with the right data. Rankings for Dec 19 - Dec 25 were never released. That is why I don't believe FFXV digital reached 50k... to be fair 20-30k is my bet. Digital in Japan is pretty weak. Oh I like that Gravity Rush Remastered promotion, nice timing here to raise some awareness. Come on, we've been here before All those Famitsu digital sales were surveys. We know jackshit about what the digital ratio really is in Japan, for any system. It's around 30% in the West, why should we assume to be much below 10% in Japan ? I think japanese gamers know how to download a game as much as we do. And if there is a game that certainly did not underperformed digitally, it's FFXV, since Square Enix said the game has broken their record for the most first-day digital sales in Japan. That still does not give us numbers, but that's a fact. After that the holidays ends for PS3 and PS4 will enter in March releases... so I believe PS4 will start to sell more units weekly after Week 158. If PS4 can cross 4.5m until Week 157 it will comfortable get the lead again in two/three week while PS3 will be ahead for these two/three weeks. Let't see if next week PS4 can hold over 70k. If the lead of PS4 over PS3 was so smal as you think, with FFXIII coming, PS3 wouldn't just pass it but destroy it. These are the sales of PS3 for the next 15 weeks until the end of 2009 (2010.01.03). PS4 will be at 2017.04.17 at that time. In the next 15 weeks PS4 needs to sell 968.237 - 569.527 = 398.710 so that it doesn't fall behind PS3. There is the last big week of the year (let's say 100k) meaning 300k in 14 weeks or 21.500 average per week after holidays. Saki: Zenkoku-hen Plus' publisher is Entergram. Kaga Create folded about a year ago. These are the sales of PS3 for the next 15 weeks until the end of 2010 (2010/01/04). In the next 15 weeks PS4 needs to sell 968.237 - 569.527 = 398.710 so that it doesn't fall behind PS3. There is the last big week of the year (let's say 100k) meaning 300k in 14 weeks or 21.400 average per week after holidays. Where I did wrong in my maths? At least I got the week right??? I guess I got the PS3 numbers for weeks ahead. Thanks... that means the situation is way better than I expected... with my wrong maths PS4 could lost the lead for two-three weeks but now I can't see that happening this year anymore. What Okami posted are not Famitsu estimates but real positions on the PS store. I think it was Duckroll the one who explained why digital is not as prominent in Japan than in the West. IIRC digital games are more expensive and can't be re-sold and with the importance of the second hand market for Japan makes some titles sell much less digitally (specially RPG like Final Fantasy). Unfortunately I don't think FF XV has sold 100.000 digitally but we should wait for SE to release new shipment numbers. Hope for Saga to work enough. It'd be sad to lose the few games I'm ok from Square Enix. Thanks Chris1964 I found my mistake. I just used to think PS3 launched in December but it was November... my data for it was a month ahead of PS4. Thanks... I will fix my post. Are the people that think ps4 will not sell similar to ps3 in terms of LTD in japan basing this on..? 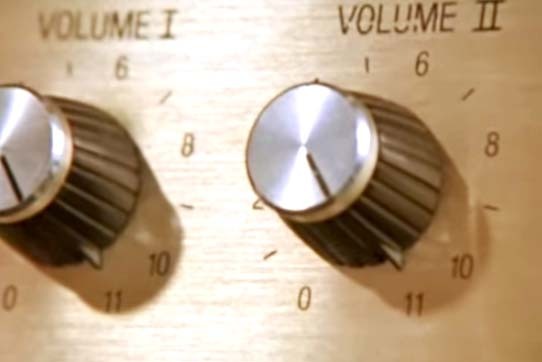 XV being at 1 million or not yet is inconsequential as it will ultimately get there. No way it misses including digital in the long run. Next week will be the test in terms of what legs could truly look like. Without direct sequels and a new mainline FF at the minimum 4 years off its legs will carry physical sales to over 1 million alone. Digital ratio is depending on many things but a good estimate for PS4 is 10-15% of total sales. Next week is not the biggest week for PlayStation??? That is what most are saying... expect boost I guess??? I never understood too the talk about after FFXIII + holidays PS3 will be ahead even when my math was using wrong data. PS3 can go ahead after 2018 but for now I can't see that happening in 2017. Do games like witcher 3 get a bump from highly rated DLC in japan? Maybe that could help it a bit if the DLC for XV is good. I hope FFXV continues to sell. It's no where near as bad as haters want to argue. I'm just glad that the game is finding an audience. Hopefully SE continues seeing games like FFXV as a worthwhile investment. Next week there are hardware rises for everything and software rises for leggy titles. Yup I know, I was referring to a previous dicussion ethomaz thought the digital sales from Famitsu were real numbers shared by the publishers and I think most of his opinion about the digital sales being awful in Japan came from here. In reality, I've never seen any official statement from a japanese publisher about the state of the digital sales in Japan. Not a single hint about what the % could be. And that's the huge problem we have when we talk about digital here. About what you say, I'm not sure digital games are more expensive in Japan than elsewhere and from the PS Store rankings posted here every week by Ôkami we can see there are nice sales too. That leaves us with the japanese love for the second hand market... yeah, I don't know if that's enough to draw any serious conclusion. Looking forward to December digital estimates. FFXV numbers too. What's the best Japan sales archive / database right now? There was a couple of good ones I lost the link to. No, I was saying that digital games are more expensive than their retail counterparts. You can see that it happens with all the PS4 titles (Battlefield 1, Yakuza 6, FF XV...) in the top20 retail list (if you compare them with their digital versions). Ranking in the XV position (rimshot) is not a good sign for healthy digital sales and believe me, second hand market in Japan is huuuuuuuuge (hiska used to post the numbers and they were enormous) moreso with RPGs not named Pokemon (that's why most of them are so frontloaded). But it'd better if someone living there could give us a better explanation of the actual digital situation in Japan. These two are the leggy games on PS4, both sold more than 100k last year and could very much do it this year too. It wouldn't be surprising to see GTA and Minecraft above MGSV someday. Battlefield 1 should have no problem outselling Battlefield 4 and it didn't need to be sold at 500 yen to do so. Call of Duty on the other hand. By now 1 PS4 game has sold more than 900k, 2 have sold more than 500k, 8 have sold more than 400k, 15 have sold more than 300k, 22 more than 200k and about 50 more than 100k. Wow, Duckroll bought so many Saga copies. These DS and GB numbers are crazy for Japan... how is the population there??? Edit - Wiki says ~130m... it is crazy how much these devices sold in a small country.